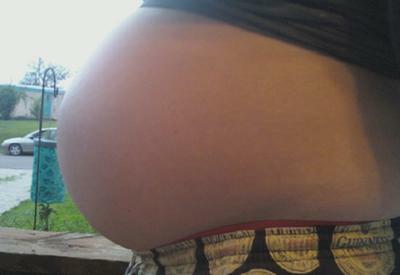 When this pic was taken I was 26 weeks 5 days. I have doc appt. the next day to check on my little girls. Although I know I will get bigger it really doesn't seem possible. The skin on my belly is really tight.